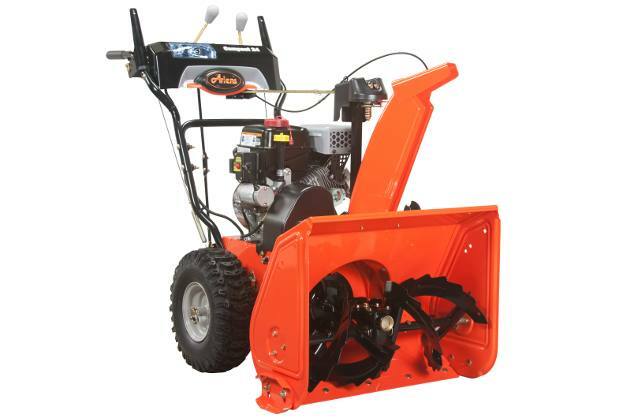 A lightweight snowblower engineered to provide heavy-duty results, the Ariens Compact Sno-Thro is robust and dependable so you can take on harsh winter conditions all season long. Durable from the dash panel to the housing, it comes complete with folding handlebars for easy storage. 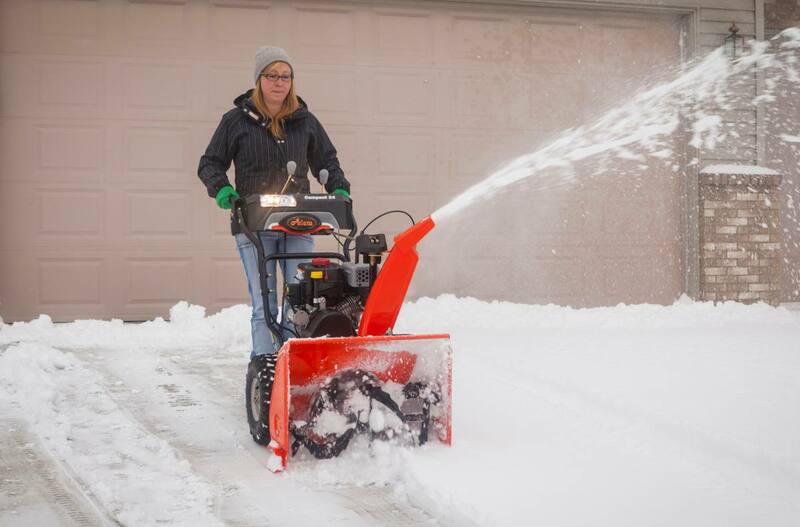 Exceptional results along with unsurpassed performance and design make the Ariens Compact an ideal snow removal solution for up to 12" of average snowfall. 30" x 36" Floor Mat: Ariens heavy-duty 30" x 36" floor mat collects water from melting snow while providing a protective layer between the Sno-Thro and floor surface during storage. Use for Ariens Sno-Thro models with housing widths of up to 28". 10lb Front Weight Kit: Add 10 lbs. to the front of your Sno-Thro to equalize weight distribution and hold the scraper blade closer to the ground. For use on all two-stage Ariens Sno-Thro models. Maintenance Kit - Compact and Sno-Tek: Keep Your Sno-Tek or Ariens powering through winter with routine maintenance. For use on all 920 series Sno-Thro models. Non-Abrasive Skid Shoes Kit: Ariens offers polyethylene replacement skid shoes to prolong Sno-Thro life. For use on all two-stage Ariens Sno-Thro models. Sno-Thro Tire Chains - 15" x 5" x 6" Tires: Featuring superior two-link spaced cross chains, Ariens Sno-Thro tire chains provide added traction on hills, ice, and hard-packed snow. For use on Ariens Sno-Thro models with 15" tires. Handwarmer Kit: Ariens dash-controlled handwarmers are easy to install for maximum comfort despite harsh winter conditions. Compact Sno-Thro Cover: Perfect for in-between snow or off-season storage, the Ariens Sno-Thro Cover is water repellent and tear-resistant for long-lasting protection. For use on all 920 series Ariens Sno-Thro models. Sno-Thro Cab: Ariens Sno-Thro cab has a spacious, rugged steel frame, durable fabric, and freeze resistant windows to protect against heavy snow, wind, and snow blow back conditions. For use on all two-stage Ariens Sno-Thro models.